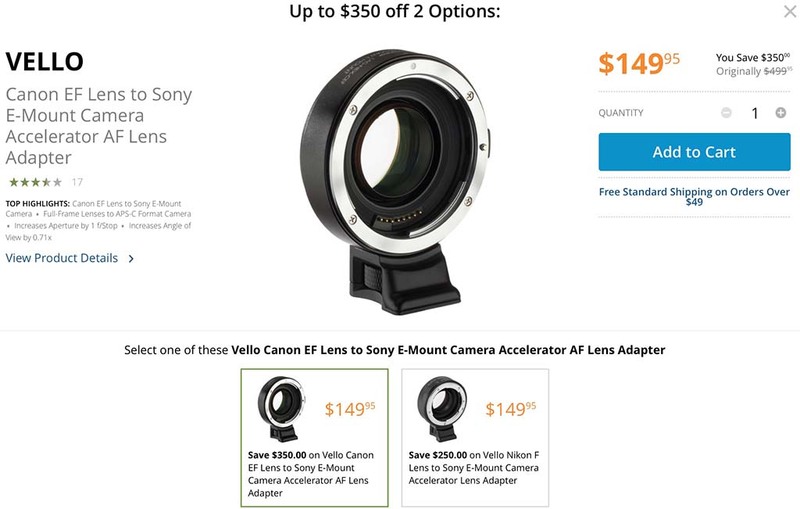 B&H Photo added the Vello Canon EF (Save $350) and Nikon F (Save $250) Mount AF adapters to their deal zone for today only. I have never used either of these adapters before, but above you can find the list of verified compatible lenses. You can order the Nikon mount adapter here and the Canon mount adapter here. This entry was posted in 3rd Party Lens, Accessories and tagged Vello, Vello Canon EF, Vello Nikon F. Bookmark the permalink. Trackbacks are closed, but you can post a comment.